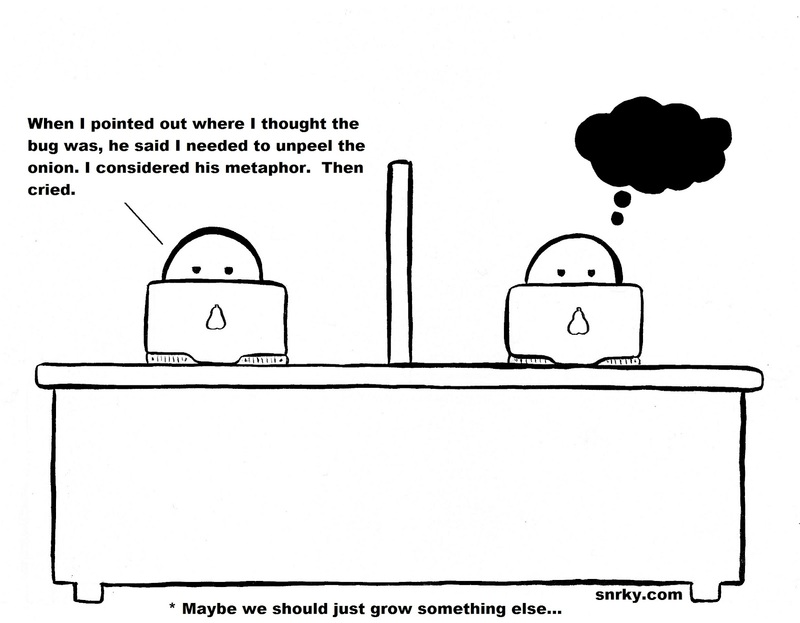 There are a lot of damn plant metaphors in an office environment. Which explains why Snarky has commented on the Gardening equiv of Stack Overflow: http://gardening.stackexchange.com/users/523/snrky. You have to know how to peel a real onion before you peel a metaphorical one. And you have to know how to pull a real weed before you inappropriately apply that metaphor to an employee and then take a pruning shears to them. For instance. Snarky: When I pointed out where I thought the bug was, he said I needed to unpeel the onion. I considered his metaphor. Then cried.